Several months ago I mused about the how ever-advancing computer technology has led to a marked improvement in simulators for the light GA market. After my post was published, reader Keith Smith alerted me to a corresponding service he had developed called PilotEdge. His company’s mission is to add a level of realism to the general aviation FTD that not even the multi-million dollar Level D boxes have thus far been able to offer. That’s when it hit me: I’ve been training regularly in a full-motion Level D Gulfstream IV-SP simulator for a few years now, and despite the accuracy with which the cockpit, visuals, and motion are replicated, it’s never been exactly like flying the actual jet. I never spent much time thinking about why. Adding live air traffic control and filling the skies with actual traffic, operated by humans who spoke on the radio would completely revolutionize the experience, because for better or worse, pilots invest tremendous energy and attention on those two elements. We have to listen for our call sign, respond to queries, and interact with other people on a continual basis. This isn’t about radio skills (although the service would definitely be useful for that purpose), it’s about workload. Keith related the story of a sim pilot who was so busy in the traffic pattern dealing with a Skyhawk ahead of him and a King Air on a three-mile straight-in for another runway that he failed to notice that he only had two green “gear down” lights. The shower of sparks was impressive — but nothing compared to the look of horror on his face. He was sure he had confirmed the landing gear position. 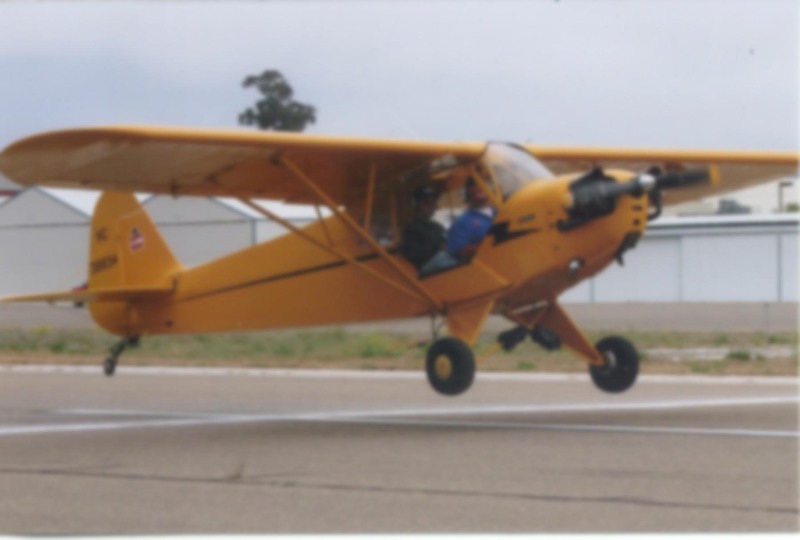 In fact, he heard the gear coming down and felt the vibration, but a badly timed call from the controller asking him to widen out on downwind distracted him and he never finished the checks. His radio work was perfect, but he failed to prioritize the necessary tasks. You couldn’t duplicate that without PilotEdge. Bringing the workload closer to real world levels reveals chinks in the student’s armor; in fact, it’s exactly what instructors do with their students in real life: give them a heavy workload to see how they deal with the stress. 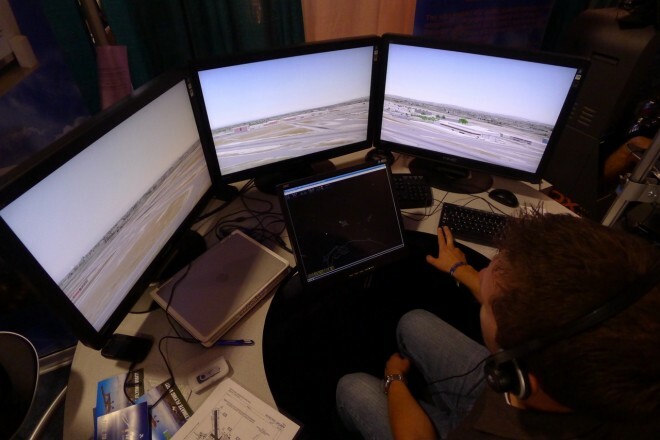 A PilotEdge virtual controller working the tower cab at Long Beach Airport (LGB). They don’t just hear pilots on the radio — they see ’em out the window, too! Imagine running an emergency in the simulator — say, an engine failure or depressurization scenario — and how much better it would be with a controller on the other end of the radio. You declare an emergency, and they start asking you about fuel remaining, souls on board, what are your intentions, do you need assistance, etc. That’s realism. It’s also a great opportunity to learn things a simulator normally never teaches you, like the fact that ignoring ATC is sometimes the best and safest option when you need to fully focus on flying the airplane. Imagine a copilot trying to read a challenge-response checklist to you in one ear while ATC is yammering away in the other. Instructors using the PilotEdge service have a textual “back channel” to the controllers and can request scenarios like lost comm, a late go-around, poor vectoring, holds, and literally anything else a real controller would throw at you. The goal is 100% fidelity. ATC services are as realistic as PilotEdge can make them. They used the Freedom of Information Act to obtain SOPs for Southern California towers, approach control, and Center sectors. They also familiarize themselves with local airport customs by listening to LiveATC.net. The sim controllers are paid by PilotEdge and use the same phraseology and procedures utilized by FAA-certified ATC specialists. But “live” ATC is not very realistic if you’re the only one in the sky. So PilotEdge uses what they call “traffic shaping”. Rather than merely hoping for traffic, they coordinate actual pilots with simulators in remote locations to be at the right place at the right time flying a specified route to create that traffic. And they’re on the frequency as well. Listening for your call sign is something you have to do as much or more in the simulator than you’d be doing in real life. You’ll wait for departure, get stepped on during transmissions, and do all the other things that would happen in a real airplane. PilotEdge’s service area covers Southern California. Some of their traffic is live, while the rest is computer-generated. PilotEdge has 400 drones flying around the area at all times in Echo and Golf airspace, squawking 1200 and not talking to anyone. They’re programmed to fly exactly as real-world “non-participating” targets do. They’re in the VFR practice areas, the Palos Verdes aerobatic area, and so on. They have military aircraft flying at high speed on military training routes, light GA aircraft on multi-hour cross-countries, gliders (again, without a transponder) flying ridge lift off of Warner Springs and around Mojave, etc. I’d never heard of a service like PilotEdge before, but Keith said they are not the only one providing ATC services for simulators. The difference is, the “other guys” are using voice-recognition software limited to prepackaged scenarios rather than a room full of human controllers who can deal with — and dish out — anything you can dream up. Keith Smith started with an early internet-based attempt at simulating air traffic control called VATSIM, which began by using text and later went to Voice-Over-IP. “That’s where the idea came about; I was a controller there for seven years or so. It’s got lots of flaws for commercial use, but it was the genesis. I couldn’t convince other pilots to use VATSIM due to technical difficulty, so I built PilotEdge from the ground up, licensed the radar scope technology, and off we went. The radio source code is fairly complicated, but beyond that the service is more evolutionary than revolutionary. Technology is not the key. The secret is our operating model: ATC services provided fifteen hours a day, no requirement for scheduling in advance, and it’s just like the real ATC system. On the light GA side, PilotEdge is about building radio skills and proficiency at a low cost. With the price of flying spiraling upward at an alarming rate, it’s getting too expensive to operate a real airplane just to build mastery of radio communication. Even so, it’s been hard for PilotEdge to get much traction with the prototypical flight school. These FBOs tend to be run by people who are overworked. Changes to their programs — especially if it’s an FAA-approved Part 141 syllabus — are difficult to make, and the main emphasis for these companies is keeping the leaseback airplanes flying. Likewise, instructors need to build time, so they want to fly, not sit in a simulator. Keith feels he’ll be most successful with home users and corporate training centers, because all they do is simulation. The center of market is going to be soft because simulation is not as mature there (although that’s starting to change due to the Redbird Effect). Chicago Jet Group recently obtained an STC to put CPDLC (Controller-Pilot Data Link Communication — basically ATC via text) into Falcons and Gulfstreams, and they contacted PilotEdge to help provide training. VATSIM started with text-only, so it’s an easy transition. Keith said anyone who worked with VATSIM would feel right at home. I wondered if PilotEdge would ever expand their service area beyond SoCal, and he responded by saying that airspace is airspace, but if the need arose, sure. They picked ZLA because there are simple, moderate, and highly complex areas around SoCal. Keeping the service area restricted increases density of traffic and that congestion helps training and realism. Having said that, there is a company looking to provide PilotEdge service for the New York area because they have a commercial contract to fulfill for that region. The brass ring for a company like PilotEdge is, of course, the major training centers like Simuflite, FSI, and Simcom. Even NASA has shown an interest. They’re already making some inroads there via a partnership with ProFlight LLC, a Part 142 training facility in Carlsbad, CA. Founder Caleb Taylor has deployed PilotEdge in their simulators and is basing their business model on that service. Their goal is not just recurrent training, but continual training where pilots can come in any time at no cost and use the device, solo. Well, if it’s used solo, there’s no instructor pretending to deliver ATC (badly, in most cases). So, enter PilotEdge. Additionally, during ground training, where simulators are not generally used until after classroom training is complete, they want to use their $6 million sim as a training aid. Students will jump in the cockpit and practice using all the systems, including the FMS. There, too, ATC has a role. Lastly, students enter the flight training portion of the formal initial or recurrent program and log their sessions with an instructor. But they will be encouraged to follow up with a bunch of solo sessions, again, with PilotEdge. Keith knew that I fly Gulfstreams for a living and mentioned that they’re working with the folks in Savannah as well. Of course, that piqued my curiosity pretty quickly. He said that Gulfstream is using PilotEdge to save on certification costs related to the avionics in the G650. They’re developing the first FMS update for that airplane, and traditionally the human factors certification takes place in the actual jet. That’s expensive. Operating a G650 costs thousands of dollars per hour. 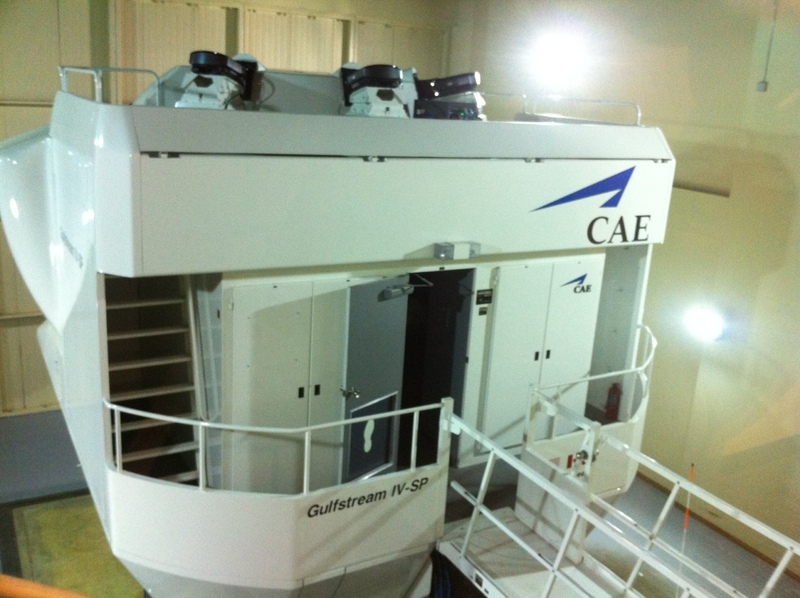 PilotEdge allowed them to move that work into a simulator with full FAA blessing. PilotEdge can work in reverse, too. Sacramento City College trains controllers before they go to Oklahoma City for formal coursework with the FAA. They setup a lab with simulators and use PilotEdge to get trainees a leg up on the intricacies of keeping a flurry of flying aluminum sequenced and separated. Keith said they just put together a proposal for the Mexican Navy as well. Again, competitors use voice recognition software, but that technology doesn’t scale easily when the language in question is Spanish rather than English. He said PilotEdge’s pricing is also superior. Speaking of English, no matter where you go — and I’ve been on virtually every continent — controllers and pilots are supposed to be capable of communicating in English. There’s no other way to ensure a pilot whose native language is Portuguese can talk to a controller in China who’s primary tongue is Mandarin. So a huge aspect of the international training market is dictated by the ICAO Level 6 English requirements. That regulation has teeth to it, and everyone’s struggling to get their people up to speed. Guess who can help with that? I’m frankly a little surprised that nobody’s come up with a service like PilotEdge before Keith Smith and his team made it happen. As previously noted, the requisite technology has been with us for many years. In some ways PilotEdge is almost anachronistic. From manufacturing to fast food, industries are moving toward greater automation and a lower employee count. PilotEdge is doing the exact opposite, supplanting automated ATC simulation with live humans. Not that I’m complaining, mind you. I’ve had the misfortune to interact with a couple of these computerized programs in the past and always come away wishing I could get the last two hours of my life back. The combination of a new generation of simulators and PilotEdge’s addition of air traffic and ATC has the potential to vastly improve the way pilots train while simultaneously reducing the cost of obtaining everything from a sport pilot certificate to a turbojet type rating. I can see this powerful duo creating an aviation equivalent of the smartphone explosion and helping turn the tide toward a more prosperous future. Perhaps evolutionary is revolutionary after all. This article first appeared on the AOPA Opinion Leaders blog at http://blog.aopa.org/opinionleaders/2013/10/31/simulation/. Interesting article. Like you, this concept has never occurred to me. Great idea and best of luck to Keith and his team! This is pretty cool stuff and I’m happy to know it works in all sort of training, from Lite Sport to G-V. I’m wondering how long it will take before the airlines are fully on board. I’m wondering that myself. The PilotEdge service would be particularly beneficial for those LOFT rides used at the airlines. You can even use PE when you’re doing nothing but VFR flying in the pattern, so you’re right: the LSA types would fine it helpful too. Yeah, it’s probably a good thing none of us had recorders running during our initial forays into radio communication. 🙂 It’s always a bit painful, isn’t it? Thanks for providing a wholly accurate review Ron. As a PE customer from it’s inception, one additional observation to add is the remarkably professional and helpful crew at PE. You’ve cited examples of customizing the product for consumer needs, and on a personal level, it’s great to consistently see their team go the extra mile to ensure the best for their customers. In any service industry, “friendly” goes a long way as a bonus towards earning customer appreciation. … try it, you’ll like it!